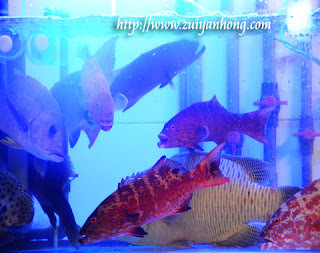 During our stay in Sabah, we dined at Kota Kinabalu Welcome Seafood Restaurant at second night. We ordered three dishes for our seafood dinner. 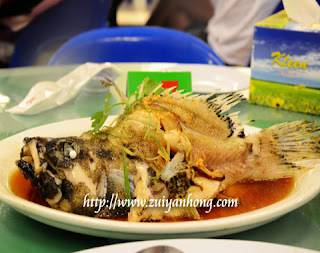 The first dish was steamed tiger grouper. Although this swimming tiger grouper was fresh but it's not as delicious as the steamed red snapper of Sekinchan Ten Tian Lai Seafood Restaurant. The second dish was steamed big prawns. 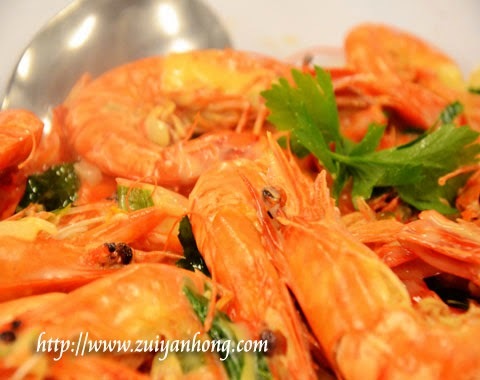 These big prawns were also very fresh but I prefer the butter prawns of Ten Tian Lai Seafood Restaurant. Welcome Seafood Restaurant had to serve too many customers. Perhaps that's the reason the restaurant unable to provide tasty food. Instead this plate of bracken was quite mouth watering. The business of Welcome Seafood Restaurant is super good but this doesn't mean that the food it serves is perfect. It's no doubt that everyone's appetite is different. 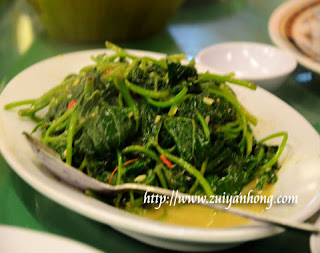 So I can't comment that the food of Welcome Seafood Restaurant is not good enough. Jalan Asia City, 88300 Kota Kinabalu, Sabah, Malaysia.